A charreada is the traditional Mexican rodeo based on the skills a charro (cowboy) needed to manage the cattle herds they were entrusted with. With the break-up of the large haciendas after the Mexican Revolution, the charreada was a way to maintain the charro culture and skills as the traditional lifestyle of the charros began to disappear. For many Mexican-Americans, the charreadas and the associated lifestyle form a tie not only to the past, but to a country to which they have an emotional and cultural connection. Although initially a purely male event, girls and women have been active participants in the events since the 1950s. In 1992, the escaramuza, a competition of female precision riding teams, was made an official part of a charreada. 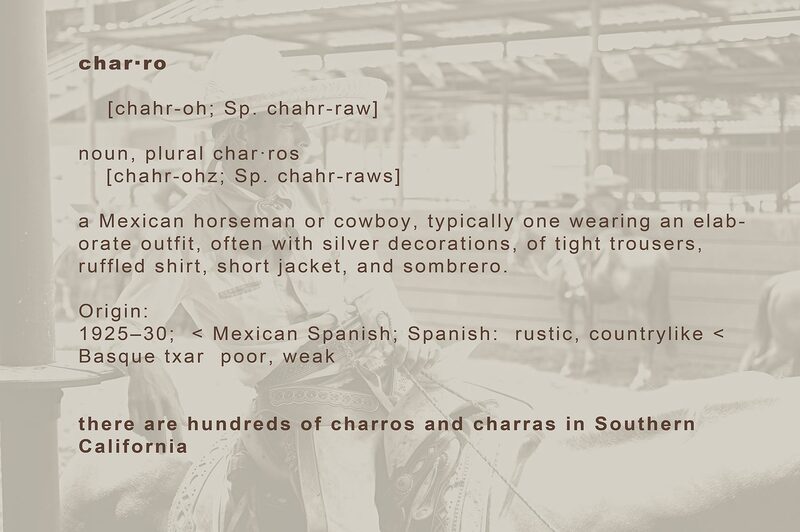 A tightly-knit community, the charras and charros regularly meet on the weekends for charreadas or social events.